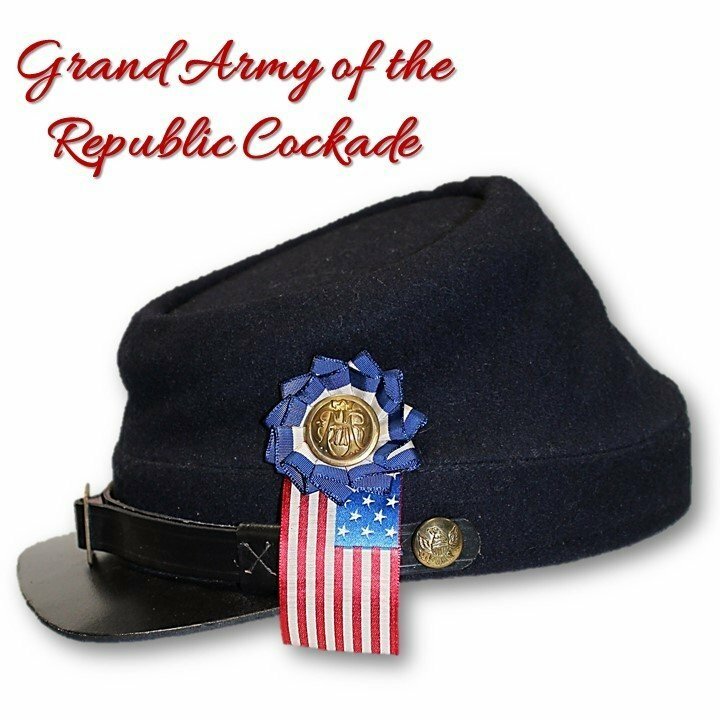 This lovely emblem of the Grand Army of the Republic is perfect for your GAR impression! Vintage mini flag, vintage striped ribbon and an original GAR button! Wear on your kepi, lapel, or shoulder with pride. Comes with a 1" silver-plated pinback.